A federal court judge sentenced Bethel drug dealer Mark Mansa to 46 months in prison Friday for operating a large-scale drug operation that allegedly sold marijuana and steroids. At U.S. District Court in Hartford, Judge Vanessa Bryrant described Mansa, 47, as a man who was "willing to sacrifice the very lives of young people in his own community" for his own greed and prosperity. Mansa, 47, one of four men indicted on drug charges in February 2011, pleaded guilty in December to one count of conspiracy to distribute 100 kilograms or more of marijuana from 2007 to 2011. Bryant sentenced him to the maximum prison term agreed to by prosecutors. Charges that Mansa possessed and conspired to sell steroids will likely be withdrawn by prosecutors as part of the plea deal. While an attorney representing Mansa described him as a loving family man who volunteered with sports organizations in his own community, Bryant called it "utterly repugnant" that Mansa allegedly sold steroids to at least one college athlete. 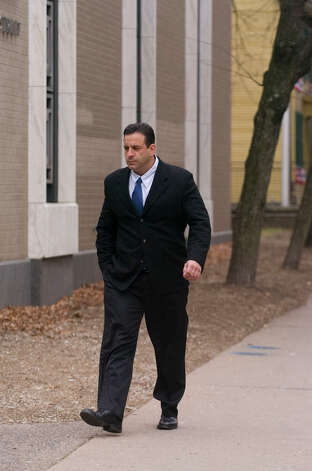 Special Assistant U.S. Attorney Joseph Vizcarrondo said during the hearing Friday that law enforcement officials observed Mansa in August 2010 selling anabolic steroids to the athlete in the locker room of a health club on Stony Hill Road in Bethel. The athlete later told authorities, the prosecutor said, that he had been purchasing steroids from Mansa since high school. The athlete was not named during the hearing. Allegations made early in the case that Mansa's ties to police in several area departments helped thwart the investigation were markedly absent from the prosecution's comments Friday. Mansa spoke briefly on his own behalf, during the nearly two-hour court hearing. "I am very remorseful for all the pain and suffering I've put my children, my family and my loved ones through," Mansa said in U.S. District Court. "I made poor decisions. They are not in character with the Mark Mansa I am." Said Bryant, "The defendant is remorseful for what he did to his own family. He's an individual who cares about his own family, but he is willing to denigrate the well-being of other families for his own greed." The judge said Mansa needed a "significant amount of incarceration" to prevent him from offending again to support a lifestyle Bryant described as above his means. Bryant allowed Mansa to surrender himself to prison authorities by July 6, to help facilitate the sale of a home he owns on Old Hawleyville Road in Bethel. Mansa was expected to use the proceeds of the sale to pay $180,000 to the government instead of forfeiting his property. Because he was not able to pay the money on Friday, federal officials said civil efforts to seize both the Old Hawleyville home and the proceeds form the sale of a home on Empire Lane Mansa once owned with his ex-wife will move forward. Others indicted in the case include Brookfield resident Glenn Wagner, 49, who pleaded guilty in March to conspiracy to distribute marijuana, and is scheduled to be sentenced on July 17. Richard Sciacchetano, 63, a Stuart, Fla., resident who allegedly has ties to the Bonanno crime family, pleaded guilty to a conspiracy charge in January and is scheduled to be sentenced on June 14. Kevin Lubic, 49, a resident of Salem, N.Y., and a reputed member of Hells Angels, is scheduled to go to trial in December. Mansa was the only member of the ring who authorities allege sold anabolic steroids.